The Lemosho Route starts off on the western flank of Kilimanjaro, offering spectacular views of Mt Meru and the plains of Kenya’s Amboseli National Park. Your first day takes you through a dense rainforest, that gradually thins out with each upward step and by day two you can already see the summit of Kilimanjaro, glistening in the distance. On the third day, the route joins the Machame Route and a long, but rewarding, road lies ahead until you reach the summit. The extra day on this 8 day trek gives you the opportunity to better acclimatise, thus increasing your chances of reaching the top. Overnights on the 8-day Lemosho Route will be in tents. 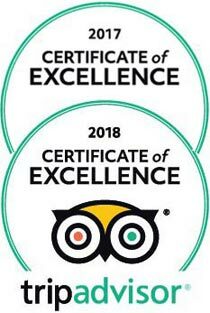 Upon your arrival at Kilimanjaro Airport, our driver will be waiting for you. He will take you to Meru View Lodge in Usa River close to Arusha. The rest of the day is for you to relax and prepare for your upcoming trip. You can also visit the town of Arusha (taxi required). In the late afternoon, our Kilimanjaro team will meet you at the lodge to brief you on your upcoming trek and check your equipment. In the morning you will be taken to Londorossi Gate (2,250m). Upon completion of all the entry formalities and a final 15 km drive on a bumpy road you will reach your starting point at the edge of the rainforest. You will enjoy lunch before you set out on the trail through the rainforest. Today’s walk is quite short, thus giving you time to enjoy the lush scenery which will drastically change over the course of your trek. You might even catch a glimpse of the thumbless colobus monkeys sitting in the branches above you. Your dinner and overnight awaits you at the beautiful Big Tree Camp. As you walk along the thin trail through the rainforest, you will notice the vegetation becoming scarcer and scarcer until you finally reach moorland filled with lobelia and erica plants. Ascending through rolling hills, you will reach Shira Camp 1 in about 3 to 4 hours. Looking over the Shira Plateau from your camp you will be able to see the unmistakable snow-capped summit of Kibo. A hearty evening meal and a last glimpse at the starry sky will bring the day to a close. Today you will cross Shira Ridge with its rocky ground, low grasses and shrubs. 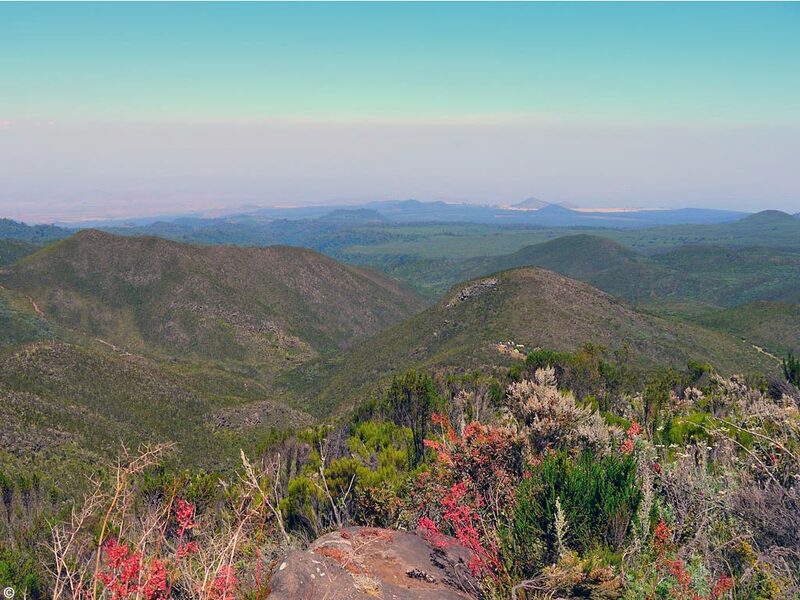 As the terrain is much flatter than the day before, your hike will seem more leisurely and you will enjoy fantastic views of the Great Rift Valley and Mount Meru. Beautiful and distinctive giant lobelias still dot the moor landscape. Walking on ground where lava used to flow you will reach Shira Camp 2, where you will have your evening meal and overnight stay. After breakfast you will start your ascent to Lava Tower through a boulder-strewn terrain. In the distance you will see Kibo encouraging you to continue uphill. Reaching Lava Tower, you will rest and allow your body to get used to the higher altitude, after which you continue downwards to Barranco Camp. This method of climbing high but sleeping low allows your body to acclimatize to the differing altitudes and gives you a good idea on how your body react to changes in altitude. Along the way the scenery changes once more and soon you are surrounded by giant senecios and smaller lobelias. After 6 to 7 hours you will reach the beautiful and green Barranco Camp, which offers great views of the surrounding snow-capped mountains. After dinner you will settle in for the night. The famous Barranco wall, which is probably the steepest part of the entire route, awaits you after breakfast. Although no technical climbing is necessary, some spots do require you to use your hands for a better grip and to pull yourself up. Your guide will be close by to help you if necessary. After you have pulled yourself around the Kissing Rock you will make your way along the mountain ridge and through the Karanga Valley. 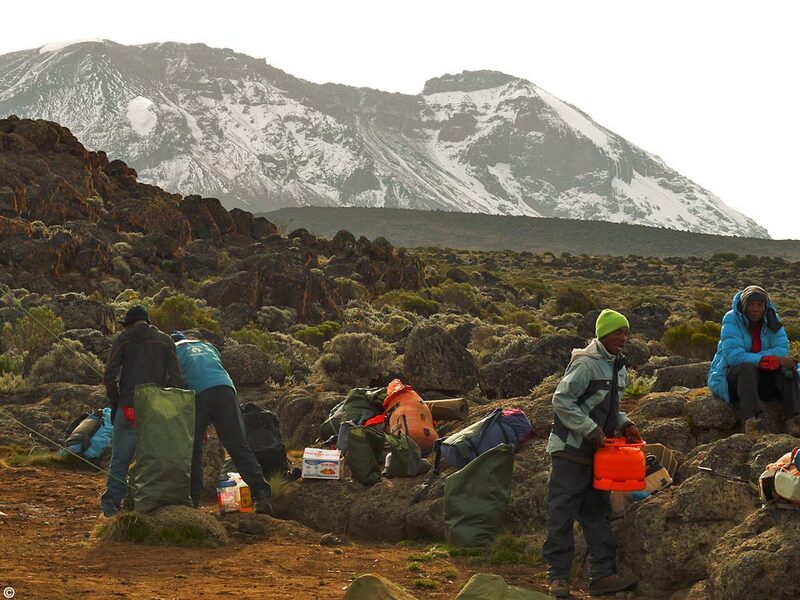 You will also pass the last water spot as you finally reach Karanga Camp. After a well-deserved meal, it is off to bed. Today you will make your way to Barafu Camp. The landscape is very dry and the ground cracks like glass under your boots. As you make your way through the afro-alpine desert to the rocky Barafu Camp, a sense of excitement sweeps over you as your final stretch is only a few hours away. The Barafu Camp with its rocky scenery allows for a stunning view of Mawenzi Peak and the summit path ahead. After an early dinner and last minute preparation for tomorrow, you will go to bed. At around midnight you will be awoken with some hot tea and biscuits in order to get you ready for today’s ascents. You will ascend in a north-westerly direction through heavy scree toward Stella Point, arriving there in about 5 to 7 hours. 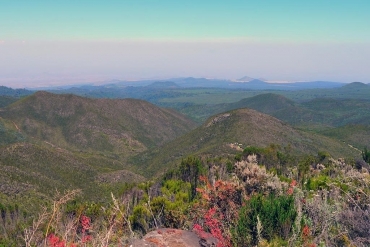 At Stella Point (5,730m) you may rest if necessary before taking on another 1 to 2 hour stretch along the crater rim to Uhuru Peak – the highlight of your trip. 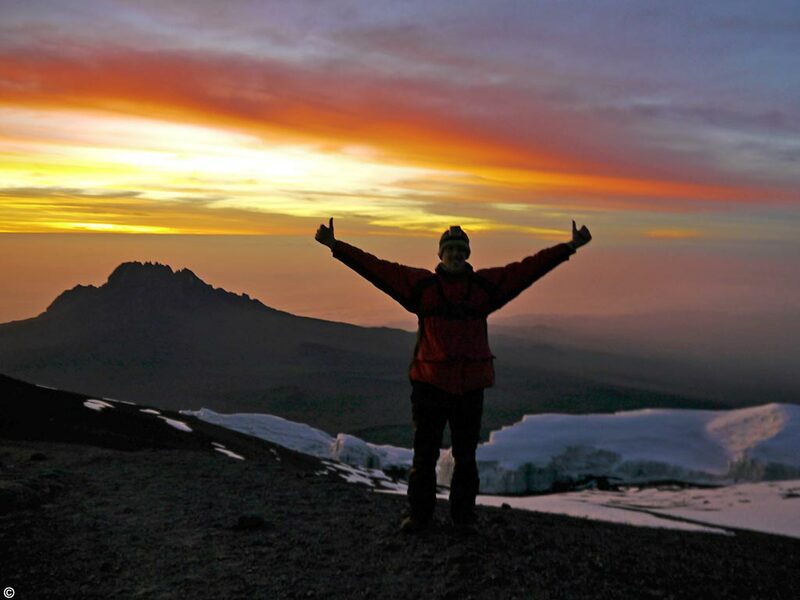 A breath-taking view awaits you as you stand on the highest mountain in Africa. After taking as much pictures as your camera will allow, you will leave behind the glistening glaciers and snowy peak and make your way back down to Barafu Camp. Here you will have time to catch your breath before heading further down to Mweka Camp, an approximate 3 hour walk. A scrumptious dinner and a peaceful night’s sleep awaits you. After a hearty breakfast and a traditional farewell ceremony by your mountain crew, you will start your final descent to Mweka Gate. A leisurely 2 to 3 hours walk will take you once more through the lush rainforest, where the endemic Impatiens kilimanjari flower grows. Reaching Mweka Gate you will be greeted by our transfer driver, who will take you back to the Meru View Lodge. The rest of the day is for you to enjoy at leisure – enjoy a long shower, jump in the pool or just relax at the bar. Dinner and overnight at Meru View Lodge. After breakfast you will be taken to Kilimanjaro Airport or you can extend your holiday with a safari or beach stay. According to the national park authorities, children under the age of 10 years are only allowed to hike until Shira Camp 2 (3900 m). There are no official restrictions for children above the age of 10 years but because the chances of children succumbing to mountain sickness are a lot higher than they are with adults, we recommend a minimum age of 14-16 years. Please note that children of all ages have to be accompanied by one of their parents at all times. Although there is no maximum age restriction, a medical check-up is advisable for climbers above the age of 60. 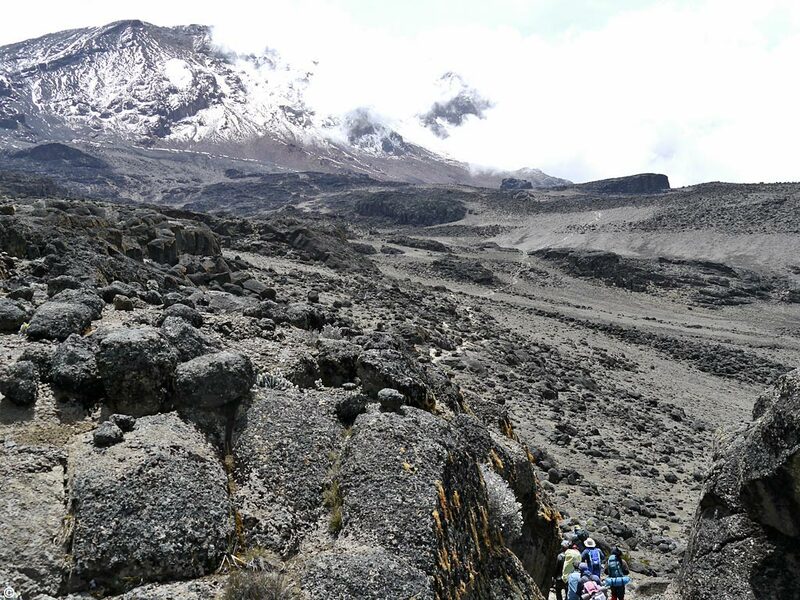 The Lemosho Route starts off on the remote western side but meets up with the Machame Route on day 3. 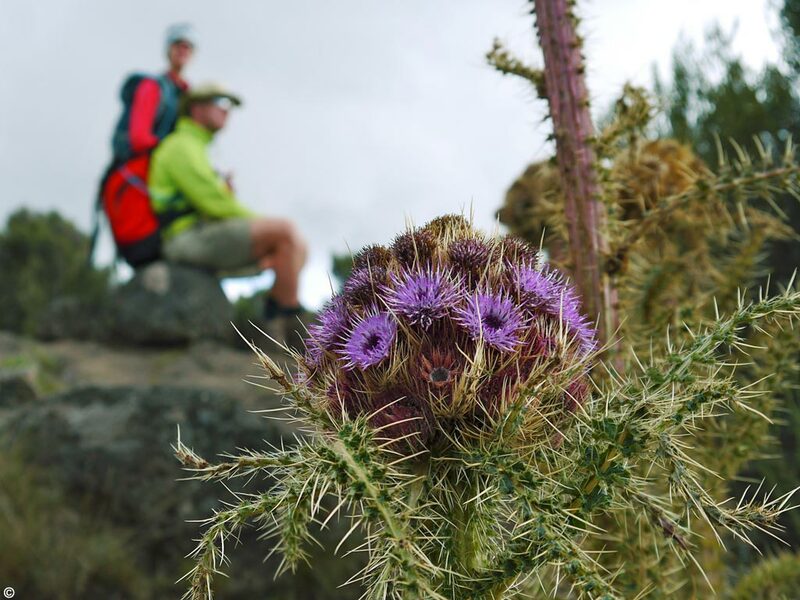 Although this route is comparable to the Machame Route when it comes to the changes in altitude, it offers an extra acclimatization day at Karranga Camp to recover from the strains of the first three days. 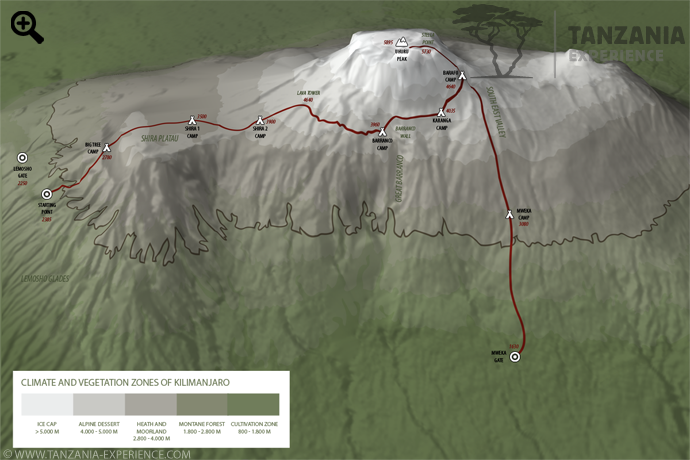 After a hopefully successful summit night, you will descend on the Mweka Route.